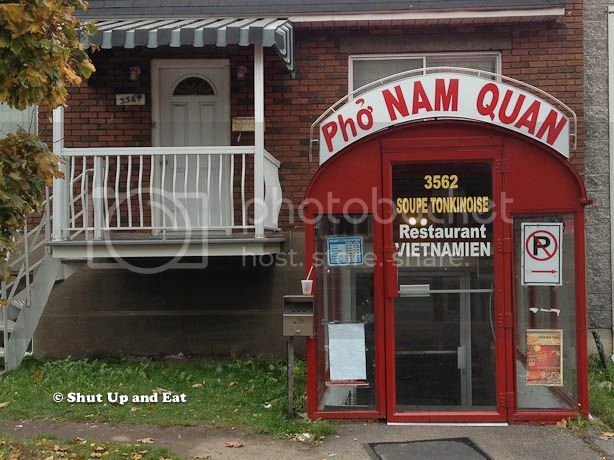 Best Pho In Montreal - Top 3 - Shut up and eat. Look out the window, now look at your watch, is it dark? Look out the window, now back at me, if your watch says 4:30pm but looks like midnight outside, then I’m sorry to say my friends, that winter is near and white stuff is inevitable. 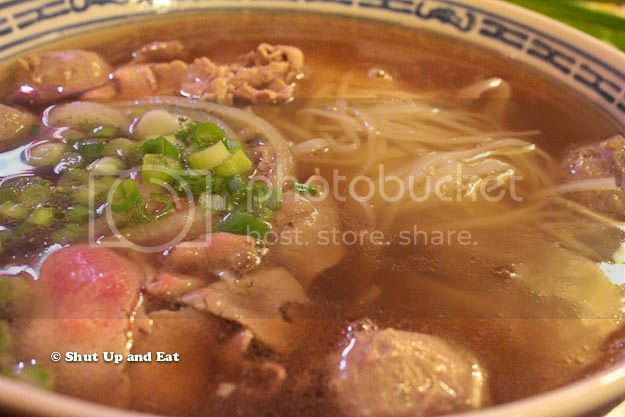 And with the cold nip at your nose comes the insatiable quest for warm food… comfort food… Pho. 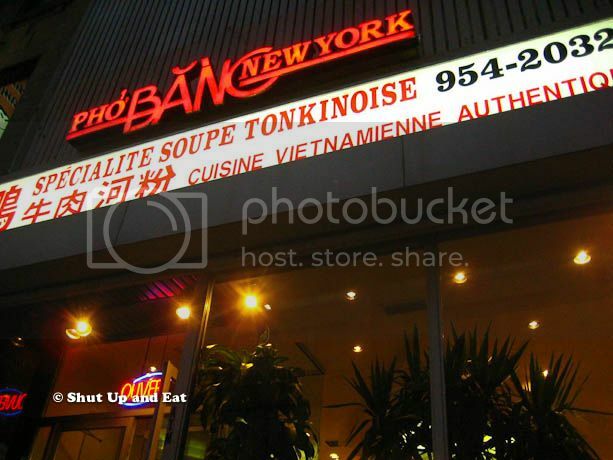 If the abundance of palatable Pho options in Montreal leave your head spinning, look no further, Shut Up and Eat has teamed up with Emilie from La Bouche Pleine and compiled the Ultimate guide to Montreal’s best pho (Tonkinese soup). 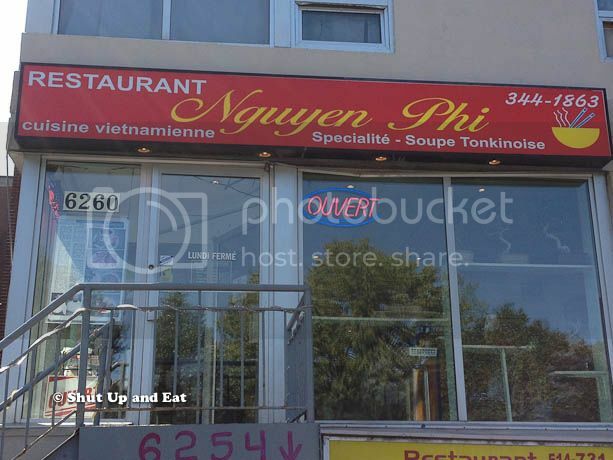 Emilie and I tackled 35 different Vietnamese restaurants in the Montreal area searching for the unicornic bowl of pho that we can pin as Montreal’s best and to get our Bouche Pleine-d. The one that makes the iconic Montreal smoked meat bow in respect to its tasty supremacy… just kidding, different scale. Here is the map of the locations we hit up. 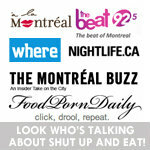 Like I said, we’ve narrowed it down to Montreal’s top three. You may disagree, and that’s ok, because we’re telling you the right answers. The bowl of choice was the “dac biet” – more commonly known as the restaurant’s “special” noodle – the “all dressed” in Quebec terms. The bowl consists of, brisket and flank (both lean and fatty), steak, tendon, tripe and Vietnamese meatballs. With a plate of toppings, which consist of various herbs, bean sprouts and fresh chili peppers accompanying the bowl, this dish is really a sensory tease and taste bud flirter. The main reason why we set out to find Montreal’s best pho was because in all honesty, there are too many options and way too many bad recommendations – so it was only fitting that we followed our noses and let our plastic spoons do the investigating. The first thing we did was we compared notes on where we have been before and what off the top of our minds were more notable than the rest. 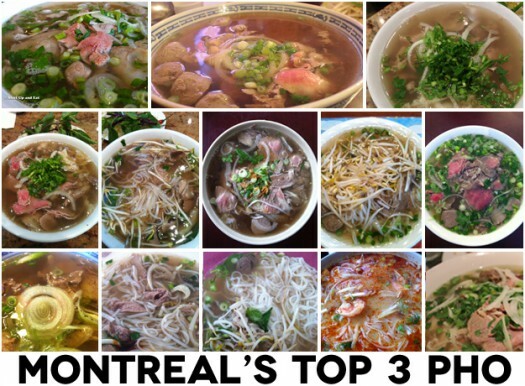 We compared notes of all the places we’ve been to and narrowed it down to the top three places in Montreal for the tastiest pho. This small neighborhood Vietnamese joint situated across the street from Kent park, has been intoxicating the neighborhood with its plumes of savory vapor, teasing people waiting for the 165 with whiffs of simmering beef broth and marrow. The first thing you’ll notice is the color of the soup. Dark in colour, the soup was somewhere between transparent and opaque; shading the sexiness that’s going on inside the bowl like trying to spy on your hot neighbor taking a shower through a steamy window. The taste of the soup itself was deep, rich in flavor and well rounded. The character of the soup wasn’t fatty as to coat your mouth or spoon and make it feel heavy. No assertive or overpowering elements of the broth was discernable, but the incredible profound beefiness of the soup was something that only hours of simmering and constant attention would be able to achieve. The richness is attributed to the marrow being boiled out of the beef bones triggering all sorts of molecular sensualness in the soup. There are several types of meat in this version of the dac biet – sliced tenderloin, brisket (fatty and lean), flank, tripe and meatballs. The steak was sliced thin, and placed raw in the bowl – to be cooked in the hot soup; brisket and flank were thick and substantial. The shredded tripe – we agreed – is treated not as an element on its own, but when spread around the bowl, lends texture to each bite. The amount of beef was in proportion to the noodles, not to mention one lonely meatball that was split in half and wandered in the bowl with each dig of chopsticks. The noodles were loose and al dente. When I got towards the bottom of the bowl, the remaining noodles remained intact and didn’t disintegrate – some sort of magic cooling and form retention matrix between soup and noodle was happening before my eyes… Amazeballs. A bit further north than the other two places on this list, Nam Quan is situated in Villeray… in a renovated and rezoned basement apartment to be precise. 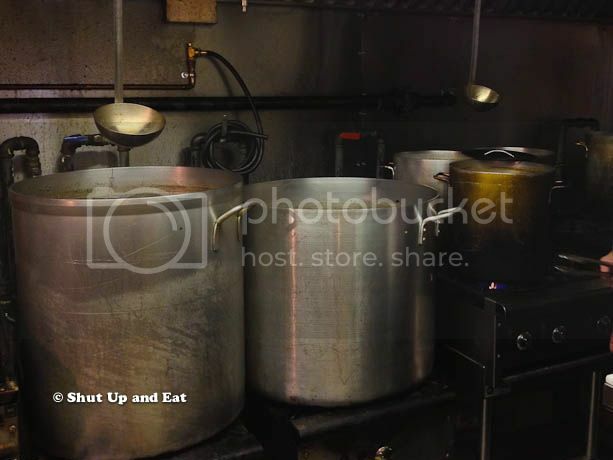 The first time I visited this place, I thought one thing, “who’s living upstairs, and do they know this is going on?” I wouldn’t put it past them as billowing cauldrons of simmering beef broth has the ability to permeate not only your clothes for the rest of the day – but I’m convinced through gyprock and particle board to permanently embed itself into the actual soul and entity of the building. Heading down the stairs, the first thing that hits you when entering Nam Quan is the distinct smell of the soup – blunt and beefy – and that’s exactly what hits your mouth when you’re slurping soup by the spoonful. The soup is full-bodied in flavor; it’s deep and rich, but most notably are the licks of cinnamon and anise that delicately perfume the palate and intertwine with the stout beefiness of the broth. To say the least the soup in itself is complex; the intricacies of the melding flavors are bright and when highlighted with the spritz of lime, awaken profound hints of ginger muted in sting and sweetness of onion. The slices of beef were not as uniform as though freshly spun out of a slicer – some thick and some thin – a welcomed characteristic that details this bowl as “homemadest” of the top three. The tendon was thick and so was the fatty brisket; a cut that’s a turn off for some, but fat is where the flavor is and is what makes the soup. The tripe was sliced extremely thin and its presence was felt in most bites. The noodles were al dente; which let soup run to the end hanging off my chopsticks and spattered little flicks of soup and sauce all over me. Although this probably could have been remedied by letting the noodles sit a bit longer in the soup, but I took this as an opportunity to work on my slurping technique. Noticeably, the noodles did however seem a bit cooler than the broth itself, perhaps a quick rinse in the soup before plating would have been in order – don’t get me wrong, the noodles were in fact cooked and subsequently in proportion to the rest of the toppings and broth. What stood out was the addition Ngo Gai (Sawtooth coriander) to the plate of beansprouts, Thai basil and fresh chili peppers. Despite its look, it tastes exactly like regular coriander. This spot located in Chinatown in one of FIVE on this two-block St. Laurent strip that made it out on top in our books. Like mating season in the baboon cage at the zoo, each place tries to outdo each other by presenting it’s biggest… juiciest and plumpest I mean, bigger, brighter, and flashier store signs, trying to attract pho-ers – Pho Bang New York is successful in a plain white and red one. 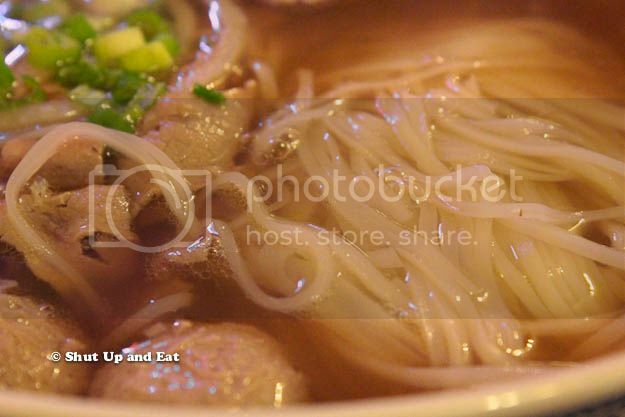 At first glace, the soup at Pho Bang New York was dark and murky that went from transparent clean-cut, all business soup up top, to cloudy, mysterious and all party near the bottom – I present to you, the Soup Mullet. The first thing I noticed when I tasted the naked soup, was how fragrant it was. Although the classic characteristics of beefy goodness were present, I couldn’t help but notice a particular smell enveloping my sinuses. The delicate prick of anise and cinnamon was strong – but it worked. The earthy spices further fortified the overall robust smell and taste of beef in the soup – thus not overpowering the soup itself, but working in parallel to establish a base to float the noodles. The same cast of characters adorned the inside of the bowl. Pho Bang New York was generous on the meat. The sliced rib-eye was practically piling out of the bowl, as was the fatty brisket and tendon. Sweet baby Jesus, the place packs beef into your soup like it’s trying to smuggle contraband into your stomach. The tripe was sliced thicker, which led me to enjoy each piece on its own having dragged it through a hoisin and Sriracha slurry. The rice noodles (thicker than most other places) were dwarfed by the abundance of meat and was itself warm. Aside from the fact that it was swimming in a bowl of hot soup, because the noodles were warm, the dissipation factor was minimized and the soup stayed hot longer – which is something not many people realize, but now you will. When lime is added to the soup, the complexity is completely changed. Sour notes reflect off the deep beef flavor and heighten the very earthy flavor of the soup. Paired with the soak of the Thai basil, the soup is transformed into something sweet that lingers on the palate. 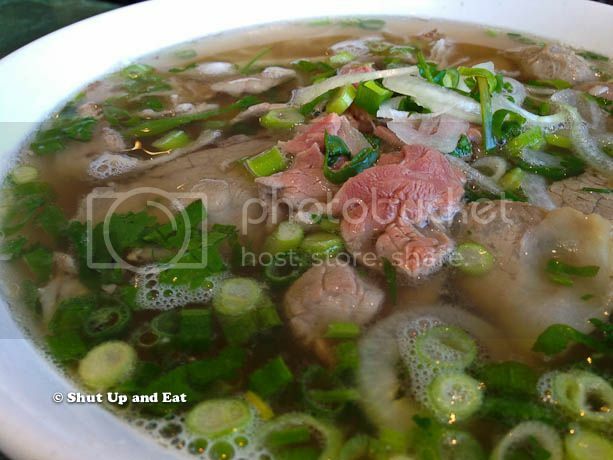 As with all raw beef noodle bowls, the bright red peaks of uncooked beef iceberging out of the soup is part of the sensory experience, nothing a quick dunk in the broth can’t fix – You even have the option of the raw beef on the side. A while back, a conversation started between fellow Montreal foodie and blogger Emilie from La Bouche Pleine and I about where we liked to go for pho. We traded insights, tips and leads to our favorite soup noodle joints. After much detailed and in depth critical analysis of our favorite cold-weather comfort food from Vietnam, we embarked on a mission, the likes of which no one has ever been seen before. Like devising a pre-travel checklist, our outline of adjudicating criteria started weeks before we initiated “Operation Morbid Breath” as to not leave out the smallest details. From meat quality, quantity and cut, to temperature of noodles, viscosity and clarity of the soup, our stipulated measures were scrutinizing and strict. We are providing a downloadable check list – the same guidelines that we developed for you to take note the next time you’re enjoying pho. Pho bac 97 is hands down the best in the city. Pho bang new York doesn’t even offer or give and vegetables and I find they add to much cloves. I’m a 7 year pho expert and had eaten at almost all the places on the list. 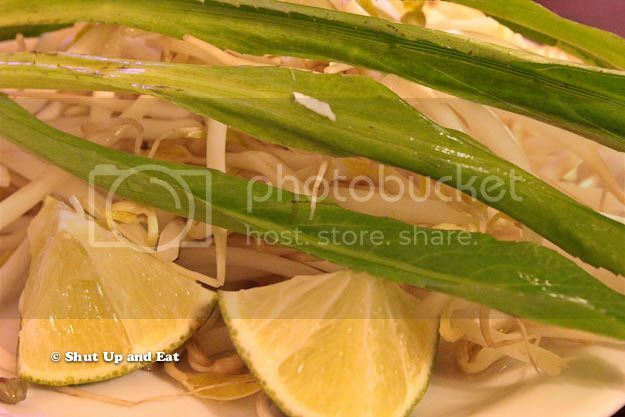 I would agree with you on Pho Bang New York adding too much cloves. In Chinatown, my favorite Pho is without a doubt Pho Bac 97. 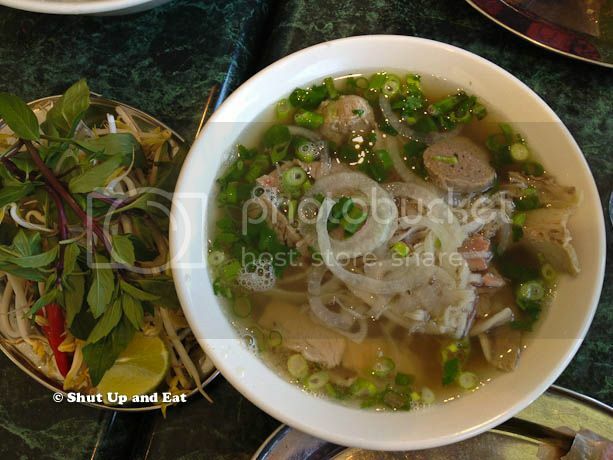 I just went to Pho Lien today… and I must say that it is, in my personal opinion, the best in town. Have you been to my top three before? Actually the last place is in Saint-Michel, not Villeray. Isn’t that address close to the Saint-Michel Kim Phat? That is where I go when the very good but smaller Sino Cambodian and Sino Vietnamese shops near my place (near the Jean-Talon Market) come up short. I have found a safe cycling route there, mostly along Villeray – I hate cycling on Jarry East (trucks galore). Of course for me Nhu Y, Pho Tay Ho and Y Lan are just a close walk away, but I don’t necessarily think of them in terms of pho. Lucky you! I try to get there as often as I can. Elle, I’ve been there – a good friend of mine lives down the street from Nguyen Phi as well. Their pho is indeed very good. Glad to see Pho Nam Do and Hoai Huong on the list. 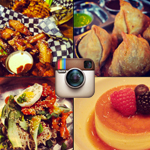 Another great one to add is Pho Little Saigon on Jean Talon and St Hubert. Nguyen Phi is one of my favorite since I live close to CDN ! I find that Pho Bang New York meat\noodle ratio isn’t that great. Usually too much meat, I find. But it still tastes great regardless of the ratio. Nice to see that the two pho restaurants I frequent the most are among the top 3 :D! Thank you so much for this post!! 35 places- that’s amazing…I have total confidence in your choices! Sorry, I mean your presentation of fact. I lived in Viet Nam for two years at ate pho from a stand around the corner from my house 4 out of 7 days a week, and have missed it (and my life there- travellers depression what?) so much I haven’t been able to seek out the Montreal Pho scene (which I knew nothing about before I left). This post has totally made me realize I’m ready though- can’t wait to hit up your top 3 choices!! Thanks for the vote of confidence! I take my pho very seriously and I can assure you, that we were scrutinizing when tasting all the choices. Sounds great, let me know what you think when you finally try the top 3! Three great places indeed. However, you missed out on the best pho in the city, that of Dao Vien. 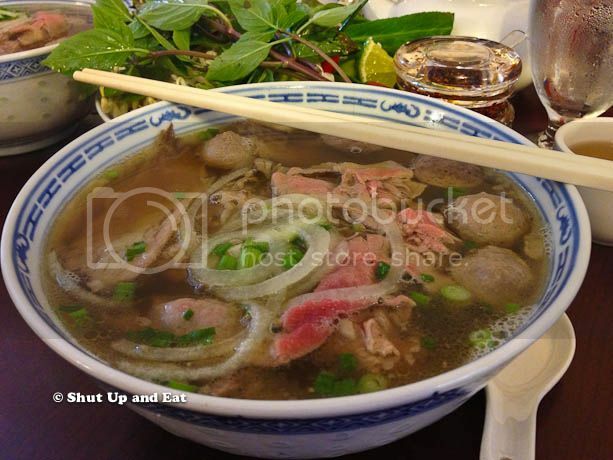 The owners of many pho restaurants actually go eat at Dao Vien when they are off. Anyone know which one of these places that DO NOT USE MSG ? Great list. I’ll definitely be checking some of these out. One not listed here that I find great is Pho Rosemont. Right outside Rosemont metro. Small & family run. The broth is delicious and light. On the recommendation of a professional chef friend I just tried the Dakao on this snowy April day. I favour the pho with brisket and raw beef, not the kitchen sink version, and theirs is really nice. I’m enough of a gwailo that I don’t always relish eating meat fat, but the fat on their brisket is delicate and delicious. Kind of depressing basement setting, but good soup. In Montreal for a few days – driving through on a road trip. 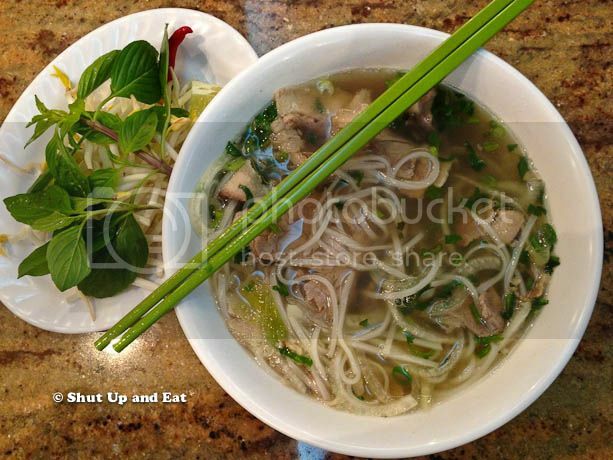 Its been about two weeks since I had Pho and I can’t wait to try one or more of your top three places. My mouth is salivating as I am typing this…. Thanks for the writing this up! Hi, thanks so much for the list! My wife and I went to Pho Nam Quan today and loved it (we don’t live far from there either), huzzah!! So if anyone can recommend anyplace, that would be wonderful! Thanks! Glad you liked it! Pho Hao on Cote des neiges has it but it hasn’t tasted the same in years and consistency is hit or miss. 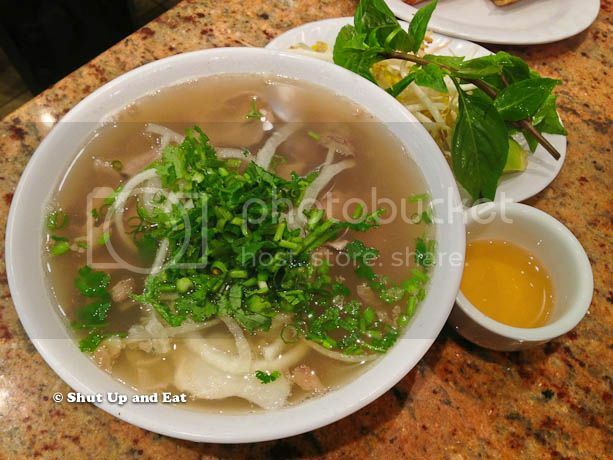 I know Pho Bac in Chinatown makes it as well as Phouc Ky on St Denis. anyway, thanks for the great reviews! The ragouts there are quite acceptable, I give them 6/10 or 7/10. (Of course I get 10/10 for mine at home but too bad 4u). 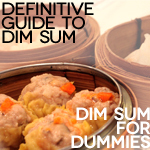 this blog is one of the best YUL food blogs hands down. 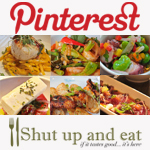 would you accept resto reviews in exchange for the byline/author credit? Thanks Gordon! What do you mean? their pho soup was not good. i don’t understand how so many gave it good reviews. MSG is easy to tell in its after taste, a dull lingering one that is distinctive and not nice…additionally the soup tastes very salty…unsurprisingly. the chicken shredded into the pho was not good…you know when a piece of chicken has that taste wavering between bland and slightly distateful? I’m sorry you feel this way, but I have no idea which restaurant you’re talking about. u should go try it at this place as well..but go only when its the rush hour lunch! because they serve the soup “HOT”! downside..the service is always slow! but the pho is very tasty!